Tigers and the letter T go together super well. When you are studying the letter T, don’t miss out on making these super fun and super simple Letter T Craft: tiger crafts. 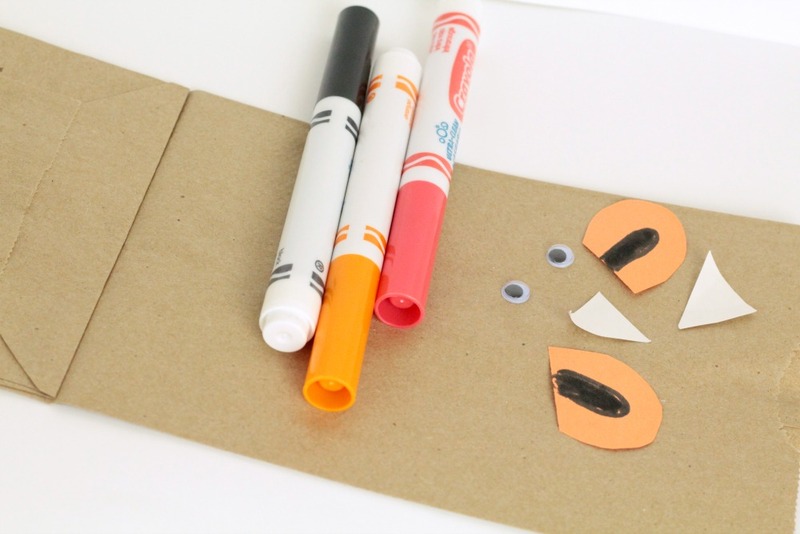 The crafts use a paper bag to make a puppet, and are both adorable and fun for kids to play with later. 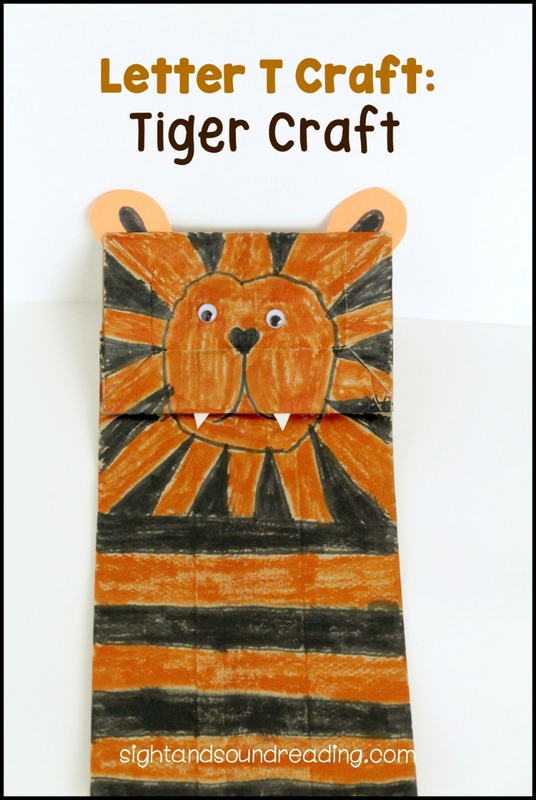 Kids will remember that the letter T sound stands for tiger much easier after making this adorable craft. This craft is the perfect craft to go along with teaching the letters of the alphabet. You can also make it any other time you are talking about tigers and jungle animals. I also have a few great books that are fun to read when teaching the letter T sound. Have fun! Before starting this craft with kids, you will want to cut out two white teeth and two orange ears for each tiger you will be making. You might also want to draw the outline of the tiger’s strips onto the bags, letting the kids color them in later. The day of the craft, show the kids how to glue the ears and teeth in place. 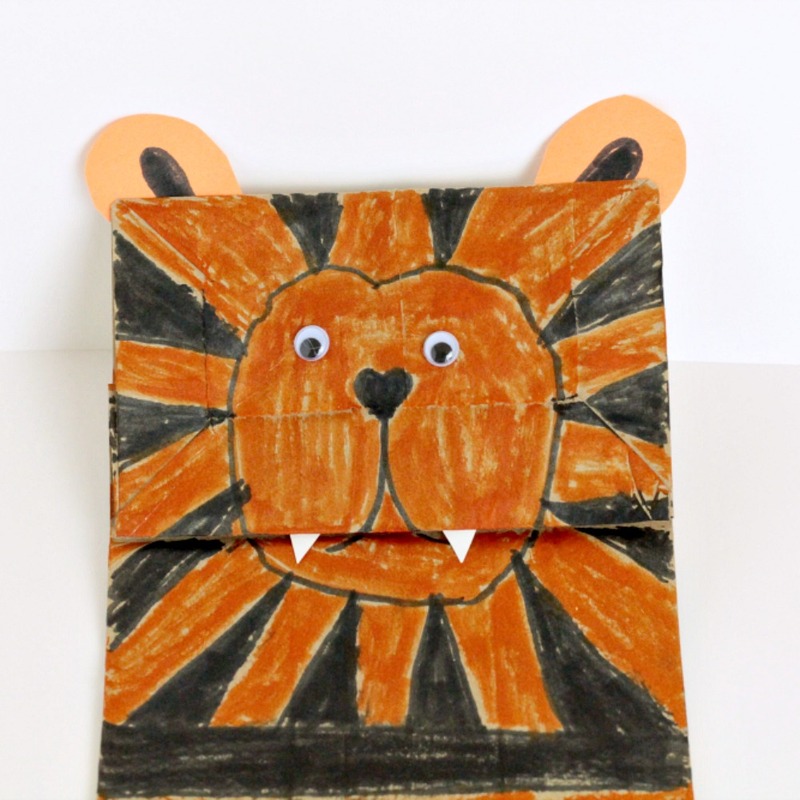 Show them how to color red inside the bag flap to make the tiger puppet’s mouth. 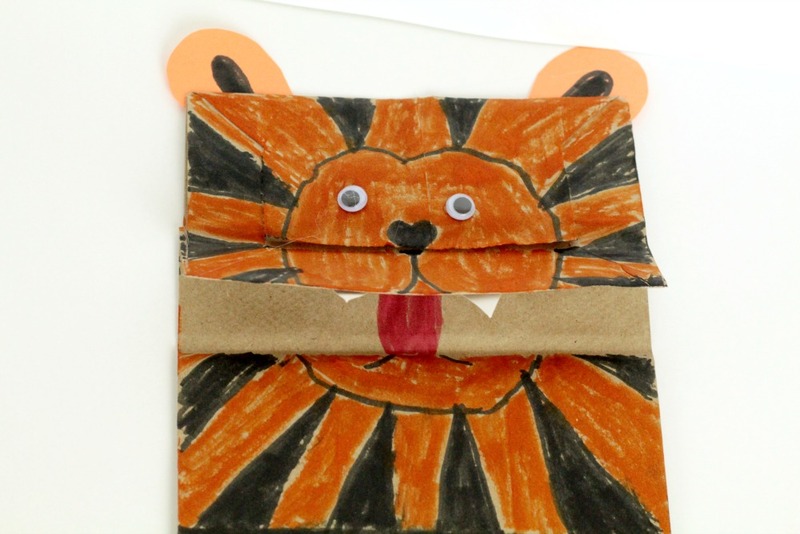 Let the kids color in the tiger’s stripes, and their tiger puppets are ready to go! This simple craft is ideal for making when you don’t have a lot of time to devote to a craft, but you still want something fun to do with the kids to solidify the lesson currently being taught. While kids are coloring in the stripes, have them think of other things that start with the letter T.